In cricket, though major attention is paid to the batsmen who get the opportunity to show their skill by scoring huge runs, with unexpected 4s and 6s, bowlers play an equally important role in every match, as they use various techniques, styles and speeds, to baffle the batsmen, and concede the least score possible, as they send the batsmen back from the crease one after the other. World Cup being the most important tournament in the world of cricket, the bowlers show their skill, and showcase performances that make a mark in the history of the sport. Here is a list of the Top 10 Bowlers with Most Wickets in World Cup, based on the runs conceded and wickets taken in the overs they have bowled, the hauls they have managed to gain, etc. Let’s take a look. Legendary retired Australian Fast-Bowler Glenn McGrath was nicknamed “Pigeon” and is regarded by many as the greatest fast bowler cricket has ever seen in the whole history. He participated in 39 innings out of 39 matches for the Australian cricket team in ICC World Cups during his active bowling career spanning from 1996 to 2007. He took a total of 71 wickets in 325.5 overs he bowled in the World Cups, out of which 42 overs were maidens, while giving 1292 runs in total. 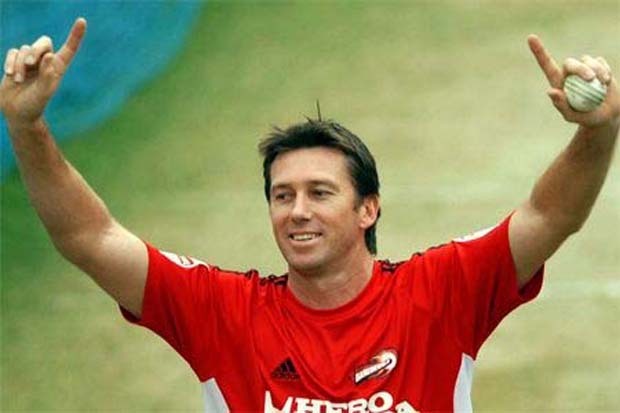 Glenn McGrath achieved the five-wicket haul twice in the tournament, and his World Cup-best bowling performance is 7/15. He has a bowling average of 18.19 and has the bowling strike rate of 27.5. Glenn McGrath has an impressive economy rate of 3.96 in the ICC World Cup. Retired Sri Lankan legendary Off-Spinner Muttiah Muralitharan is widely regarded as the greatest Test match bowler ever, as noted by Wisden Cricketers’ Almanack in 2002. He participated in 39 innings out of 40 matches for the Sri Lankan cricket team in ICC World Cups during his active bowling career spanning from 1996 to 2011. He took a total of 68 wickets in 343.3 overs he bowled in the World Cups, out of which 15 overs were maidens while yielding 1335 runs in total. Muttiah Muralitharan achieved the four-wicket haul a record four times in the tournament, and his World Cup-best bowling performance is 4/19. He has a bowling average of 19.63 and has the bowling strike rate of 30.3. Muttiah Muralitharan has an impressive economy rate of 3.88 in the ICC World Cup. Former Pakistani Left arm Fast-Bowler and the master of reverse swing Wasim Akram was the only Pakistani cricketer to be inducted in all-time Test World XI to mark the 150th anniversary of Wisden Cricketers’ Almanack. He participated in 36 innings out of 38 matches for the Pakistani cricket team in ICC World Cups during his active bowling career spanning from 1987 to 2003. He took a total of 55 wickets in 324.3 overs he bowled in the World Cups, out of which 17 overs were maidens, while conceding 1311 runs in total. 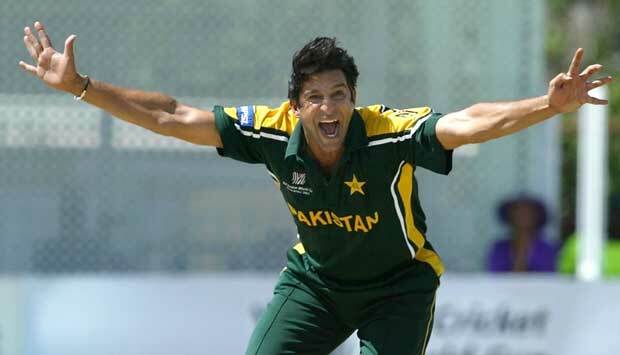 Wasim Akram achieved the four-wicket haul twice and the five-wicket haul once in the tournament, and his World Cup-best bowling performance is 5/28. He has a bowling average of 23.83 and has the bowling strike rate of 35.4. Wasim Akram has a marvelous economy rate of 4.04 in the ICC World Cup. Retired Sri Lankan legendary left arm Fast-Bowler Chaminda Vaas is widely regarded as the best fast bowler Sri Lanka has ever produced and was inducted in the squad of World Test and one-day XI at the inaugural ICC Awards. He participated in 31 innings out of 31 matches for the Sri Lankan cricket team in ICC World Cups during his active bowling career spanning from 1996 to 2007. He took a total of 49 wickets in 261.4 overs he bowled in the World Cups, out of which 39 overs were maidens, while giving 1040 runs in total. Chaminda Vaas achieved the four-wicket haul once and the five-wicket haul once in the tournament, and his World Cup-best bowling performance is 6/25. He has a bowling average of 21.22 and has the bowling strike rate of 32.0. Chaminda Vaas has a superior economy rate of 3.97 in the ICC World Cup. Indian left arm Fast-Bowler Zaheer Khan also played for Worcestershire in County Cricket besides his regular appearance in the Indian national side since his debut in 2000. 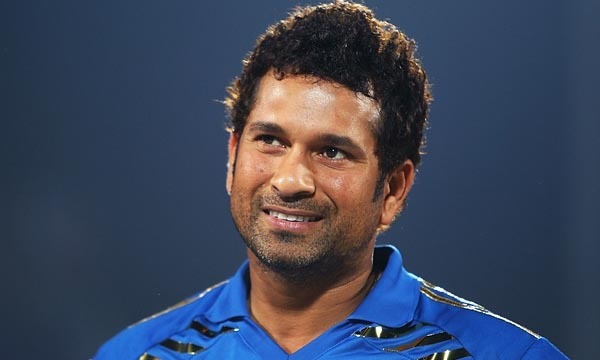 He participated in 23 innings out of 23 matches he played for the Indian cricket team in ICC World Cups during his active bowling career spanning from 2003 to 2011. He took a total of 44 wickets in 198.5 overs he bowled in the World Cups, out of which 12 overs were maidens, while yielding 890 runs in total. Zaheer Khan achieved the four-wicket haul once in the tournament, and his World Cup-best bowling performance is 4/42. He has a bowling average of 20.22 and has the bowling strike rate of 27.1. Zaheer Khan has a superior economy rate of 4.47 in the ICC World Cup. Former Indian right arm Fast-Bowler Javagal Srinath is the only Indian fast bowler to achieve more than 300 wickets in ODIs and is currently working as ICC Match Referee in international format. He participated in 33 innings out of 34 matches he played for the Indian cricket team in ICC World Cups during his active bowling career spanning from 1992 to 2003. He took a total of 44 wickets in 283.2 overs he bowled in the World Cups, out of which 21 overs were maidens, while conceding 1224 runs in total. 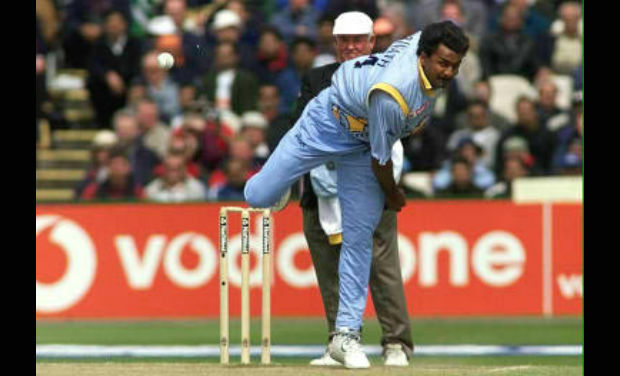 Javagal Srinath achieved the four-wicket haul twice in the tournament, and his World Cup-best bowling performance is 4/30. He has a bowling average of 27.81 and has the bowling strike rate of 38.6. Javagal Srinath has a superior economy rate of 4.32 in the ICC World Cup. 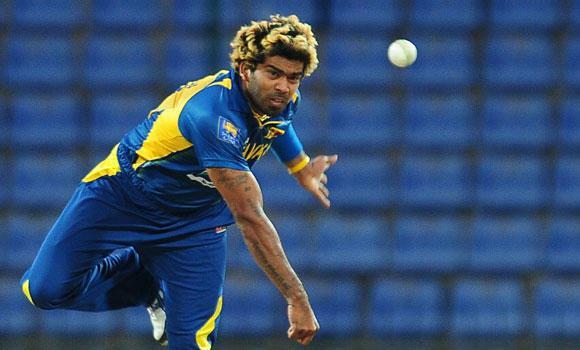 Sri Lankan Right-arm Fast-Bowler Lasith Malinga is now considered as the Striker of the current Sri Lankan World Cup 2015 squad and nicknamed “Slinga Malinga” for his amazing bowling skill. He participated in 21 innings out of 20 matches for the Sri Lankan cricket team in ICC World Cups during his active bowling career spanning from 2007 to 2015. He took a total of 41 wickets in 159.4 overs he bowled in the World Cups, out of which 7 overs were maidens, while giving 851 runs in total. Lasith Malinga achieved the four-wicket haul once and the five-wicket haul once in the tournament, and his World Cup-best bowling performance is 6/38. He has a bowling average of 20.75 and has the bowling strike rate of 23.3. Lasith Malinga has a superior economy rate of 5.32 in the ICC World Cup. Legendary retired South African Fast-Bowler Allan Donald is one of the most successful pace bowlers in South African cricket history and was the new-ball partner of Shaun Pollock till he retired from professional format. He participated in 25 innings out of 25 matches for the South African cricket team in ICC World Cups during his active bowling career spanning from 1992 to 2003. He took a total of 38 wickets in 218.5 overs he bowled in the World Cups, out of which 14 overs were maidens, while yielding 913 runs in total. Allan Donald achieved the four-wicket haul twice in the tournament, and his World Cup-best bowling performance is 4/17. He has a bowling average of 24.02 and has the bowling strike rate of 34.5. Allan Donald has an impressive economy rate of 4.17 in the ICC World Cup. Retired New Zealand’s leading Fast-Bowler Jacob Oram announced his retirement from Test cricket on 13 October 2009 but returned to international action in the 2010 ICC World Twenty20 for a brief period. 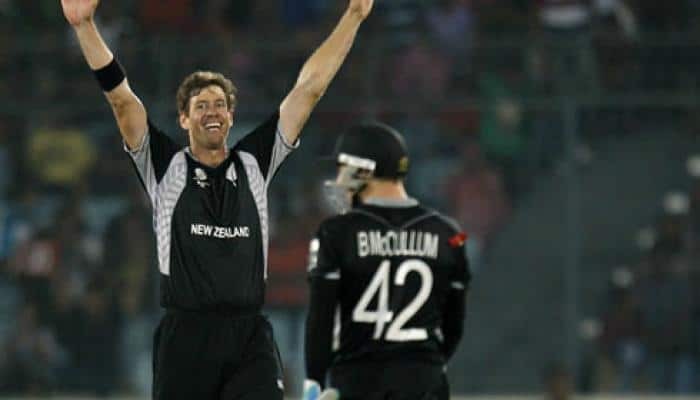 He participated in 23 innings out of 23 matches for the New Zealand cricket team in ICC World Cups during his active bowling career spanning from 2003 to 2011. He took a total of 36 wickets in 182.2 overs he bowled out of which 21 overs were maidens, while conceding 768 runs in total. Jacob Oram achieved the four-wicket haul twice in the tournament, and his World Cup-best bowling performance is 4/39. He has a bowling average of 21.33 and has the bowling strike rate of 30.3. Jacob Oram has an impressive economy rate of 4.21 in the ICC World Cup. Legendary retired Australian Fast-Bowler Brett Lee was recognized as one of the fastest bowlers during his career. Lee recently announced his retirement from all forms of the game in January 2015. He participated in 17 innings out of 17 matches for the Australian cricket team in ICC World Cups during his active bowling career spanning from 2003 to 2011. He took a total of 35 wickets in 137.3 overs he bowled out of which 15 overs in the World Cups, were maidens, while giving 629 runs in total. Brett Lee achieved the five-wicket haul once and the four-wicket haul twice in the tournament, and his World Cup-best bowling performance is 5/42. He has a bowling average of 17.97 and has the bowling strike rate of 23.5. Brett Lee has an impressive economy rate of 4.57 in the ICC World Cup. These bowlers have given some remarkable performances, and created new records, thus getting their names etched in the saga of the sport and its biggest competition. All records are meant to be broken, and perhaps, these players will be pushed down in the list as more and more players will perform well, and create new memories. But, for the time being, these bowlers are considered the top, and their stunning records are some of the greatest moments of the sport.